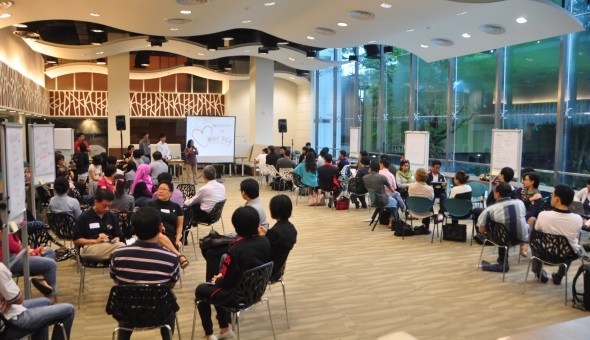 While green NGOs in Singapore depend heavily on volunteers with passion to drive their work, they must also consider long term career paths and capacity building to attract people to join the environmental sector. Besides requiring passion, creating a viable green career for passionate people is also important. Having full-time staff with relevant skills to drive the key work ensures continuity and better engagement with stakeholders. NGOs could adopt futures thinking to identify key trends, challenges and opportunities. Thinking long term is not just for the government, NGOs should also think about how best to advance their causes in a changing Singapore with more diverse voices. The green community is often busy working on their own causes and silos, without slowing down to speak to other groups in the community and find collaborations. The occasional meetups at events hardly enable proper conversations to develop. We need to develop spaces where the green community can come together and have deep conversations to discuss, plan, collaborate and synergise. We also need spaces where the green community can have conversations with other communities, NGOs, businesses and government agencies. We can help the government help the green community. Some government agencies need to see public support before setting certain policies. The green community can identify these potentials and work on campaigns to increase public awareness and support, so that this groundswell can nudge the government in doing their work faster. Some government policies might be backwards in today’s evolving society and needs. The green community can proactively engage the government on these policies, with recommendations and constructive feedback. 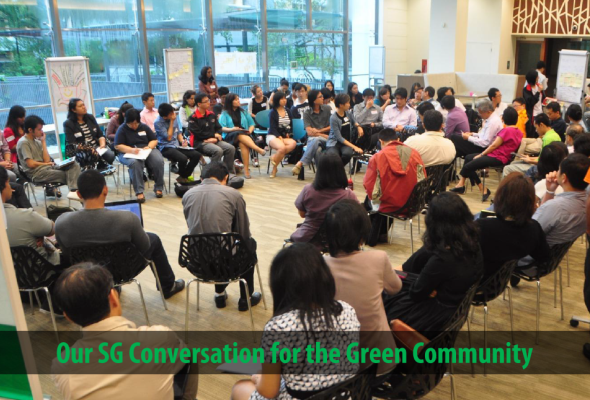 Our SG Conversation for the Green Community (OSC) was held on 19 January this year at Singapore Polytechnic. This OSC was initiated by Faizah Jamal, Nominated Member of Parliament (Environment and Heritage) People and Civic Sector, and Eugene Tay, Director, Green Future Solutions, in collaboration with the Singapore Polytechnic Environment Club and “Our Singapore” Programme Office, Public Service Division. Our SG Conversation for the Green Community is organised by Faizah Jamal, Nominated Member of Parliament (Environment and Heritage) People and Civic Sector, and Eugene Tay, Director, Green Future Solutions, in collaboration with the “Our Singapore” Programme Office, Public Service Division.